Most people buy their new puppy from a breeder, a few from a rescue society, and some seem to just “acquire” them from friends, neighbours, or total strangers. As well as selling the pup, it seems that just about everyone considers themselves to be an expert in canine nutrition. Much of the advice given is harmless enough, but some of it is downright dangerous. We’re not going to bore you with statistics relating to exact protein or mineral levels. It’s just too dull, and unless you are a dog food manufacturing company, you really don’t need to know about it. Pick a food designed specifically for growing dogs. this as “Growth,” but for the purposes of this article, we’ll just call it puppy food. Puppies over 6 weeks of age have no requirement for milk. In fact many puppies will develop diarrhoea if you give them milk, so it’s best avoided. What Type of Puppy Food? breeds and average breeds. These different categories of dog have different nutritional requirements. should be switched to an adult formula diet. that you can buy from the pet shop, or as meat and bone meal, or good old-fashioned cod liver oil. development disorders, such as hip dysplasia and osteochondrosis. meat as well, some of which are more dangerous even than Salmonella. If fed in large enough quantities they will unbalance an otherwise balanced diet. have fewer problems later in life with aggression and dominance. more. If he’s leaving food, give a bit less. 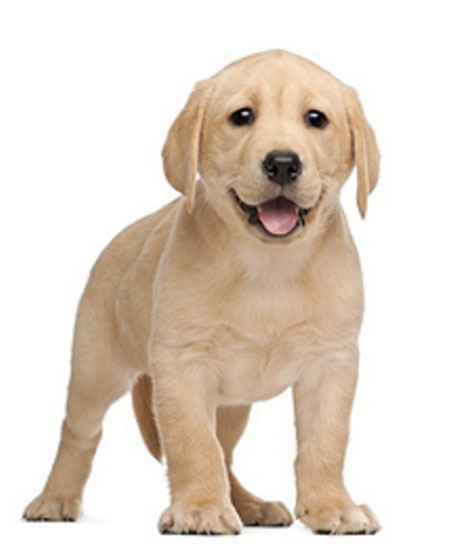 If you are feeding dry food, then it is usually acceptable to fill a bowl with it 3 times a day, give puppy 10 minutes to eat it, then lift it up. That way as the puppy grows he will automatically take more as he needs it. It is very important that you don’t leave food down all the time, because that will increase the risk of obesity later in life.